An illustration of a human stomach. 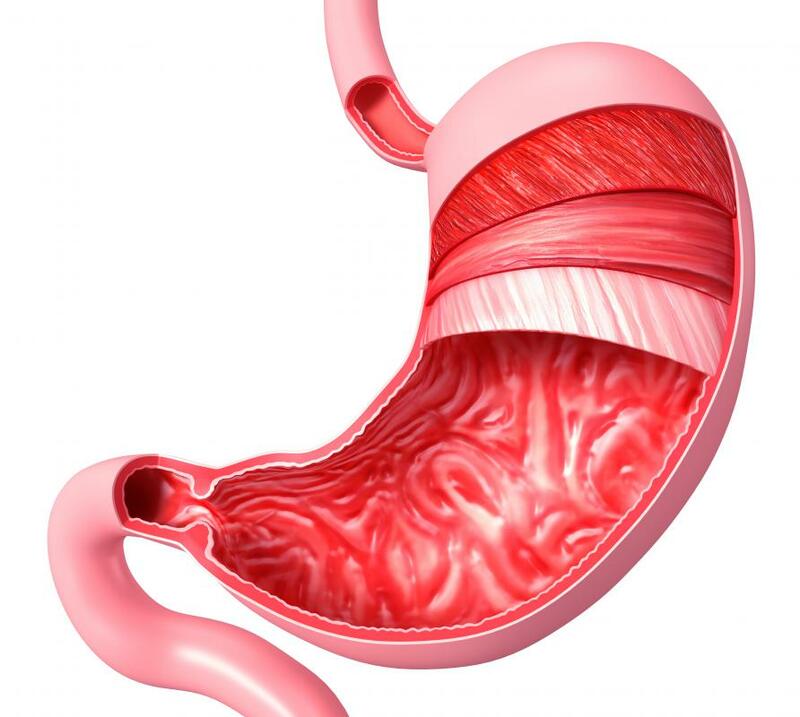 In acid reflux, stomach acid backs up from the stomach into the esophagus. 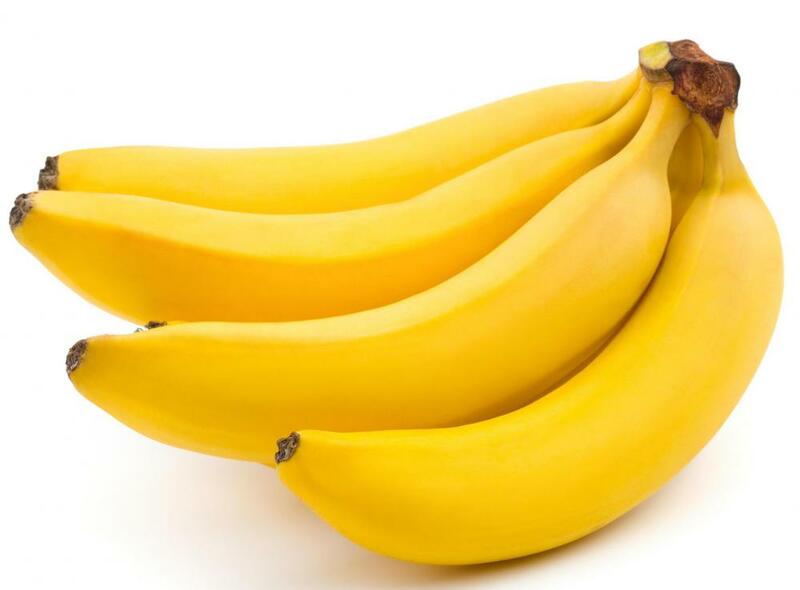 Bananas don't usually cause acid reflux. 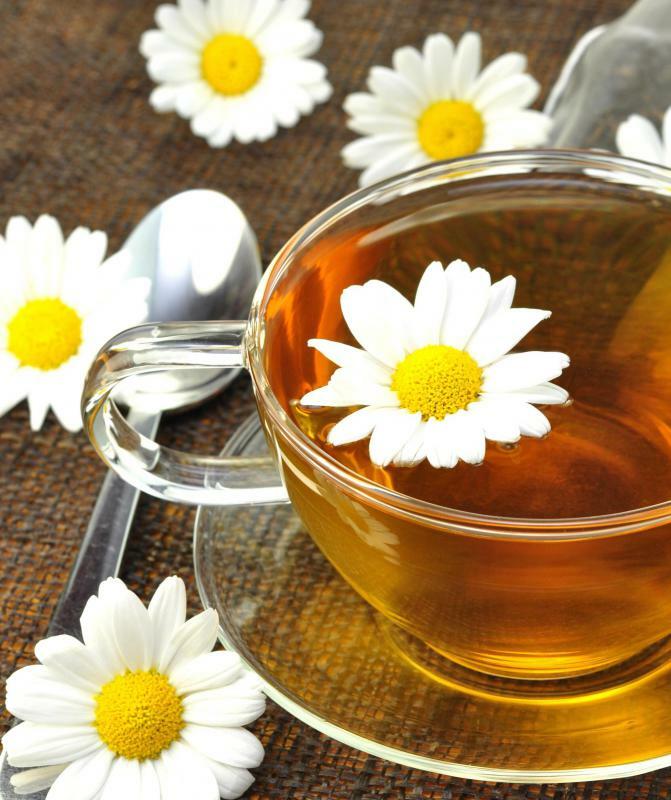 Chamomile tea is soothing to the stomach and is helpful to acid reflux sufferers. Acid reflux is a condition in which acid from the stomach leaks back into the esophagus. This can result in painful heartburn, and the condition may require more treatment than simply changing diet. However, it’s known that following a recommended acid reflux diet or one for gastroesophageal reflux disease (GERD) may help reduce incidence of heartburn and indigestion. There are many acid reflux diets, but most have some similarities that can get you started. Most diets concentrate on eliminating certain foods that create more acid. Another focus of a good acid reflux diet is eating patterns — the way you eat can influence the degree to which you may suffer acid reflux. An acid reflux diet may emphasize what you can eat without much fear of additional problems. Foods that are thought to be low risk include fruits like apples and bananas, most green vegetables, low fat meats, low fat dairy, and whole grain breads, pastas and cereals. Some diets add another list of foods that may not bother most people, and these include low acid citrus juices, onions and garlic, some cheeses, and even low fat cookies. The main thing that an acid reflux diet will suggest people avoid is extremely high fat foods. It’s recommended you keep away from deep fried foods, most fast foods, and high fat cuts of meat. Some beverages should be skipped too, and these mostly include alcoholic beverages, particularly beer and wine. There is some lively discussion about whether caffeinated beverages like coffee and tea and carbonated beverages are a wise idea. When you’re unsure about a certain food or drink you really enjoy, you may want to try it and see how it affects acid reflux symptoms. If you feel worse after consuming a “trial food,” you may want to avoid it in the future. Another essential element of an acid reflux diet is focus on how to eat to minimize symptoms. Eating three medium-sized to large meals a day may prove problematic for most people. Instead, it’s often recommended that people eat smaller meals, perhaps four to six a day. It’s equally important to eat slowly, in a fully upright position. You should plan not to eat about two hours before bedtime, and keeping the head slightly elevated when you sleep may reduce symptoms further. Since acid reflux usually requires some medical intervention, if you suspect you have it, you should first get diagnosis through a physician before treating yourself. Diet may be one way to reduce symptoms, but it isn’t the only way. It’s important to heed a doctor’s advice about other medical care and behavioral changes you can make to help tame this condition. How Effective Is Domperidone for Reflux? 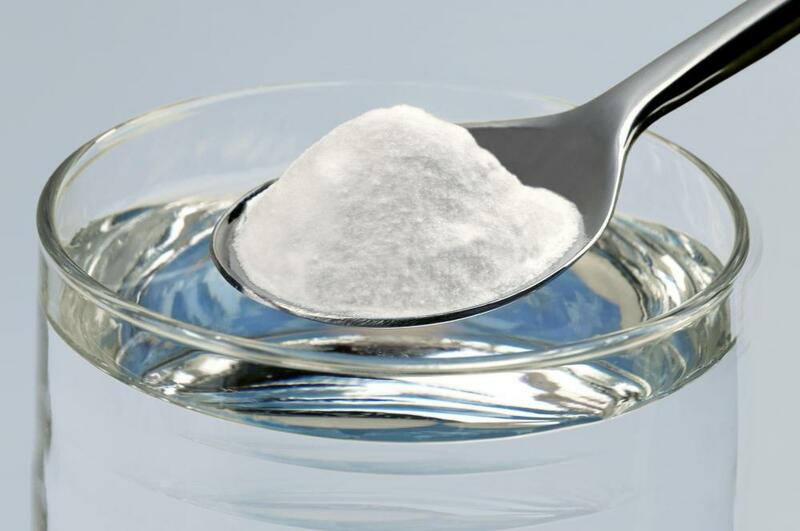 What Are the Different Alternative Treatments for Acid Reflux? Exercise is good too. That goes back to the stress relief aspect. I used to get heartburn really bad until I started doing my Krav Maga classes four times a week. It's also important not to discount the role of stress in acid reflux. You can follow the most restricted diet for acid reflux disease in the world, but if you are still stressed out of your mind you're probably still going to have symptoms. If you are having continuous problems with reflux, then you might also want to consider the possibility that you have an ulcer. If so, you can try things like prebiotics or mastic supplements to help fight the ulcer and get you back on track. Going through this kind of thing can be really hard, but don't give up -- it will get better! @firstviolin -- OK, I know you've probably tried all of this, but just to ask the obvious questions, you don't smoke or use tobacco do you? That can contribute a lot to acid reflux and GERD. Also, chewing gum or eating a lot of hard candy can cause you to have flare ups too, even if you're following a severe acid reflux diet plan. As I'm sure you know, you also need to avoid caffeine (coffee, soft drinks), as well as things with peppermint and spearmint in them. If you drink a lot of milk, try skim, since whole can also cause you to have GERD. Those are the only things I know to tell you, but seriously, you need to go to a doctor if you're trying all of that and nothing is working. I really hope that you find out what's causing your reflux, and that you feel better soon. I have been experiencing some pretty severe acid reflux/GERD for a few years now, and even though I follow all the acid reflux diet restrictions, I still get really bad reflux. I'm really at my wits end about this, I mean, I've tried all the acid reflux remedies known to man, and nothing seems to help. I am really desperate for some acid reflux help, so do you guys have any advice, or know why I would be experiencing this, even when I follow such a restricted and severe acid reflux diet? I would appreciate any help or input, because I seriously don't know what to do any more.